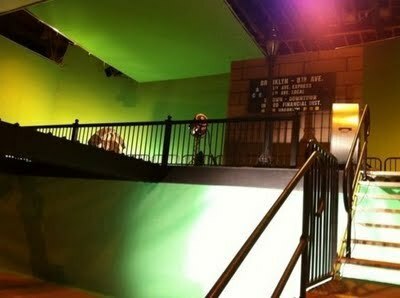 First look at 'The Edge of Glory' muziki video set. . Wallpaper and background images in the Lady Gaga club tagged: lady gaga music video set first look the edge of glory 2011. This Lady Gaga photo might contain stairwell, bannister, ukingo, balustrade, balusters, handrail, and banister.